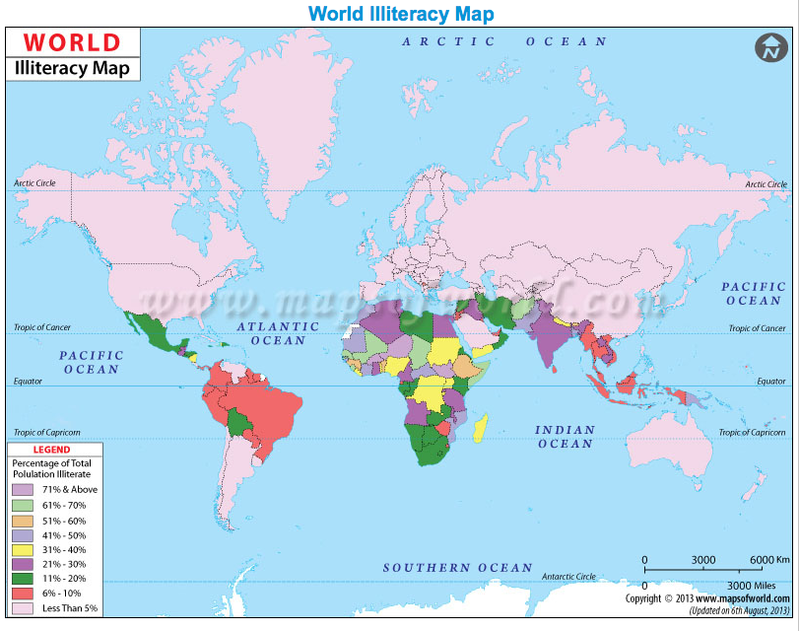 When I Googled “map of world literacy” the first site the search yielded was World Illiteracy Map. Not only had Google given me the exact opposite of what I asked for (illiteracy rather than literacy), but I was suspicious of the resulting website’s motto: “Maps of World: We do magic to maps.” Do I trust a supposedly research-based website that claims to “do magic”? I pushed my suspicions aside for the moment, and read what it had to say: The US, along with virtually every other country residing above the Tropic of Cancer had an illiteracy rate of “less than 5%.” With the exception of the southern countries in Africa, the same was true for all countries south of the Tropic of Capricorn. 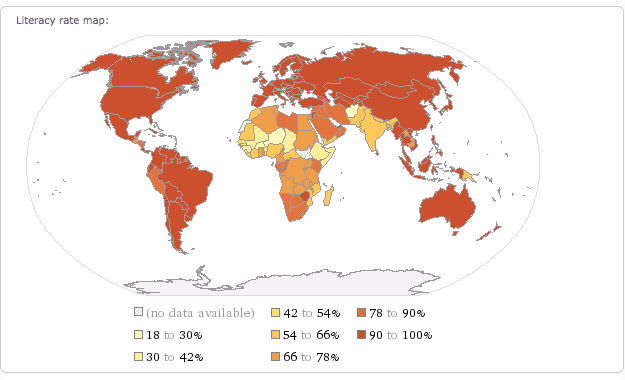 In other words, this map displays a belt of illiteracy between approximately 23 degrees north and south of the equator. If you’re wondering how the US ranks, the answer is (according to Wolfram Alpha), 27th. 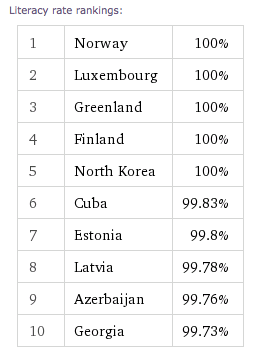 With a literacy rate of 99%, we are outranked by Scandanavia/Northern Europe, China, and North Korea, to name a few. Clearly, if we want to be “the best,” 99% just won’t do. But before we take too much stock in either of these maps or global rankings, we should stop and ask ourselves, “is modern literacy really the ability to ‘read and write a short, simple statement’”? According to the National Council of Teachers of English’s (NCTE) definition of 21st Century Literacies (note the pluralization) the answer is a resounding “no.” The NCTE’s definition, revised and updated in February 2013, proposes that literacies are in fact, “multiple, dynamic, and malleable,” and should include “proficiency and fluency with the tools of technology … [the ability to] design and share information for global communities … manage, analyse, and synthesize multiple streams of simultaneous information … create, critique, analyze, and evaluate multimedia texts.” This brings in the issue of the so-called digital divide, or, “an economic inequality between groups … in terms of access to, use of, or knowledge of information and communication technologies.” Suddenly, the question of reading and writing becomes a question of economics and technology. 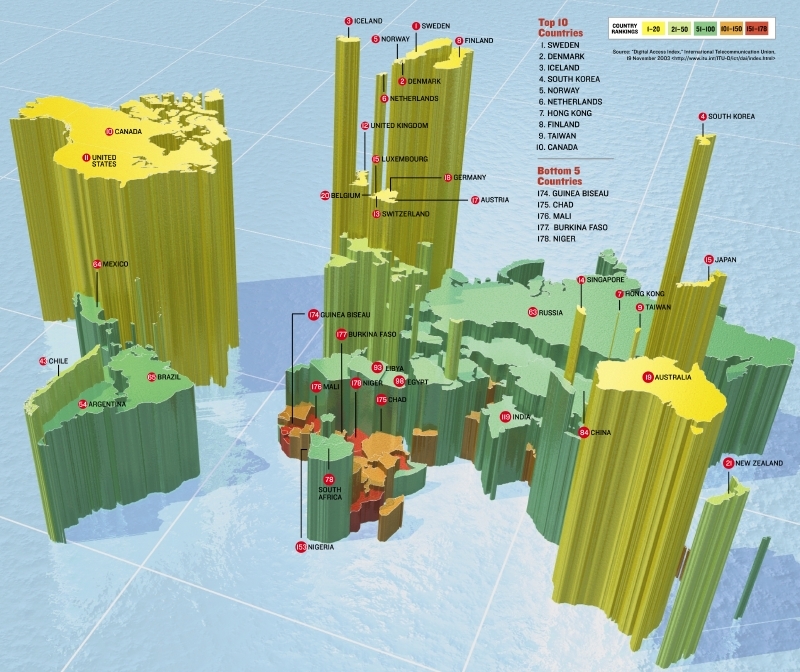 The International Center for Theoretical Physics’ (ICTP) explanation and map of The Digital Divide is perhaps unsurprising: the countries with the highest rate of internet usage are, in general, those counties with high literacy rates. 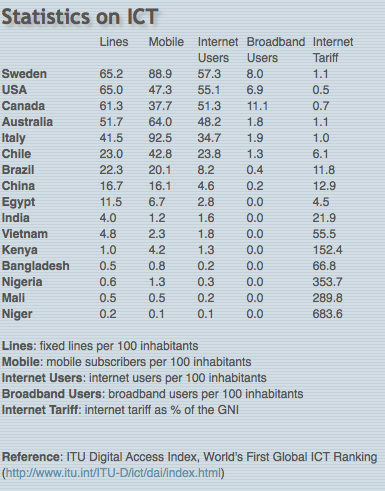 Some notable exceptions are South Africa, Egypt (both with higher technology usage than I expected, based on their literacy rates), and Argentina (with lower). So what of the original question: How does the US fare in adult literacy compared to other industrialized and/or developing nations? Are we 27th? 2nd? Or is it impossible to say? It seems odd that, in our world of mass information, we might not have enough information to answer this question—but perhaps this is not a bad thing. Perhaps the answer is simply: it depends. It depends on how we define “literacy,” how we define “industrialized,” and of course, it depends on which information source we ask. For the purposes of our careers in education, I propose that we all but ignore our global rank, and instead, act locally. Rather than simply teaching our students how to read and write, we must engage them in literate behavior, from reading to researching to filtering information to writing to blogging to thinking critically. By helping our students take in, process, and produce information, we not only create “literate” human beings, we help them to contribute to the world around them. A few weeks ago, a fellow graduate student said to me that technology in the classroom is unnecessary. “All it does it make things go faster,” he said, “Big deal.” Perhaps I was feeling overly sensitive, but upon hearing his comment, my blood began to boil. “Really? That’s all it does?” I asked. When he looked at me with furrowed brow, I could tell he was more confused than he was angry. I asked him again if he truly believed what he said; when he replied, “I mean, I think so,” I knew I had some educating to do. Yes, technology makes things go faster: we can type faster than we can handwrite, send email faster than snail mail, read about a world event as it is happening instead of waiting for journalists, editors, and mail carriers to distribute the newspaper. This is a blessing and a curse, as we are suddenly held to this “real-time” standard. Ten seconds seems an eternity as we watch our phones, waiting for our love interest to reply; did we sound too eager?? “Did you get my email?” our boss asks as he walks past our desk and into the hall, not waiting for a response. Technology overwhelms. Technology smothers. And just when we need it most, technology breaks. So why bother? Because technology is our brain child. And just like any of our children, we must care for it, help it grow, help it improve–and of course, we must be patient with it, even when it frustrates us. Throughout this semester, I have thought very seriously about my relationship with technology. Is it a healthy relationship, I sometimes wonder? Or do I rely on it too heavily? When I am in charge of a class full of students, what kind of role will I want technology to play? Can “teaching with technology” even be separated from “teaching”? When we teach, we hope to engage our students by making both the course material and our presentation of the material relevant and interesting. If we ignore the role technology can play in this, we do ourselves and our students a disservice. If we rely on presenting the same material in the same ways every day, every year, we will certainly bore our students (and ourselves) to death. Technology can help spice things up, help focus our students’ attention, simplify complex ideas, complexify simply ideas; technology can be fun! If we want our students to keep an ongoing journal, say, why not open them up to the world of blogging? If we value research and information sharing, why not have our students listen to podcasts–then create their own in order to share what they have learned? The internet has made information-gathering easy, and simple software has made information-sharing nearly as easy. Through helping our students sift through millions of search results, we foster critical reading and underscore the importance of critical analysis. By encouraging students to share their findings with a global audience, we hold them accountable for their own learning. When students learn not only how to find information, but how to interpret, compare, dissect, and evaluate it, they become powerful agents in their own education. And when they learn the skills to share their findings, analyses, and opinions intelligently, they become powerful agents in society. 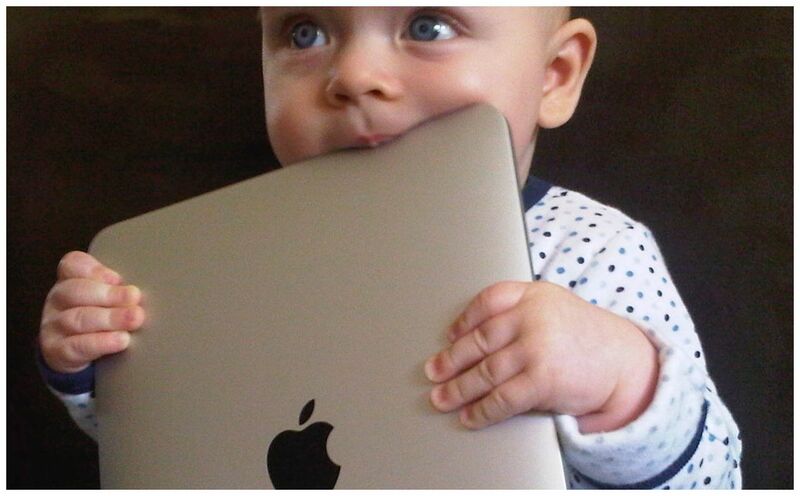 Just as we must steward the children in our classroom, we must be good stewards of our technologies. Neither our children nor technology would develop–or even exist–without our help, but both will outlive us to carry on the stories that we have started. Earlier this week, I had the pleasure of interviewing a fellow English educator via Skype. What began as a conversation about technology and English education soon turned into a philosophical discussion about the practice of grading and internal versus external motivation. While I was not altogether surprised that two English teachers so quickly got themselves into a series of tangential conversations (it’s what we do best, after all! ), I was impressed by how fluidly our conversation moved from one topic to another, each as important and relevant as the next. Perhaps this is because one cannot have an isolated conversation about “technology” in education; technology is everywhere, and so is learning. To separate our educational practices into those that use technology and those that do not would be simplistic at best and ignorant at worst. The first question I had for Karen was about blogging: did she use it in her classrooms? If so, how and why? Like a good English teacher, she turned the answer into a forty-five minute conversation. She has her students use blogs quite a bit, she said, but she doesn’t grade them. In fact, she hardly grades any of her students’ assignments. She is much more concerned, she said, with helping them develop their “web ethos” — in other words, their internet integrity. While many of her students don’t initially enjoy the idea of ungraded assignments, the idea usually grows on them. Throughout the semester, they become accustomed to the idea of writing for the sake of writing, and thinking for the sake of thinking. Similar to what my research on blogging suggested, Karen’s students’ blogging starts to develop organically as they come to appreciate having an authentic audience with whom to interact. Real people begin to respond to their posts, helping their initial thoughts grow into deep dialogue. Much of what Karen and I discussed echoed what I have been learning throughout the semester: technology is a tool we can use intelligently or poorly; technologic fluency is no substitute for a sound educational philosophy; whatever we do with technology in our classrooms, it must not overshadow our main purpose: to teach our students how to learn. Throughout our Skype conversation, it was clear that Karen is very passionate about teaching and learning, and does all she can to ignite this same passion in her students. With or without blogs, VoiceThreads, Ning forums, or Google Docs, I am convinced that her emphasis would remain the same: to foster collaboration, creation, and community — and of course, to turn simple questions into complex discussions. Whenever I see a syllabus that includes “Presentation of Research” in the list of assignments, I cringe. Even though the word “PowerPoint” isn’t always explicitly included, my classmates and I know how to read between the lines. “Give a ten minute presentation summarizing your research. Include a list of your references,” might as well say, “Take ten minutes to copy and paste the first paragraph of each section of your paper onto a PowerPoint slide. Next, name drop as many theorists as you can fit on each slide so that your professor trusts that you actually conducted research. 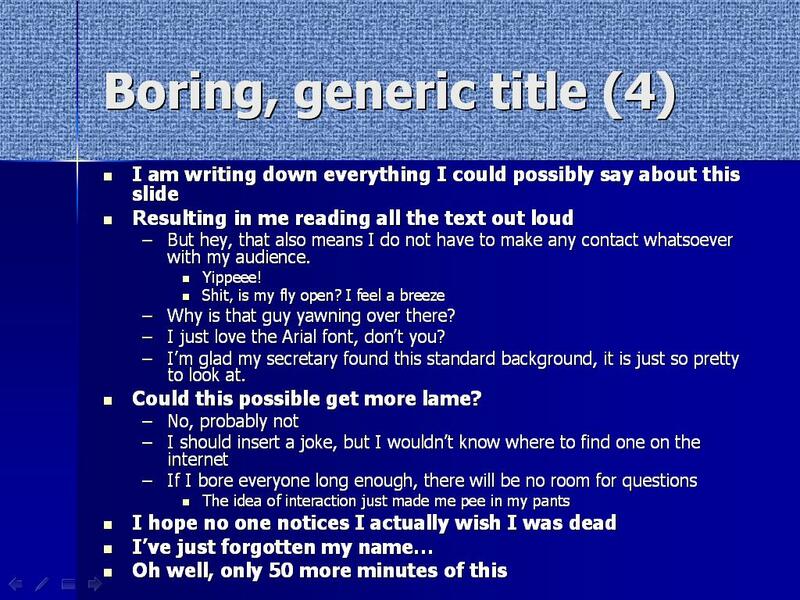 The more words each slide contains, the more work your professor will think you did.” According to Stephen King’s On Writing, “fear is at the root of most bad writing”; I would argue that the same fear lies at the root of most bad presentations, and that, contrary to popular belief, this fear is just as rampant in teachers as it is in students. Assessing a student presentation is often easiest when we have a rubric; making a rubric is easiest when we enumerate specific features. Before long, our rubric becomes a checklist: a formula that is so specific and rigid that even we are afraid to deviate. While rubrics, checklists, and formulas are comforting to both students and teachers, they can stifle creativity–or worse, create bad habits. Encouraging our students to make a PowerPoint based on a list of criteria implies we do not trust them to come up with their own means of effective presentation. Granted, most students will need guidance, and some might even ask us what it is exactly that we are looking for (can’t we give them a checklist or something? ), but this does not mean we should outline their presentations for them. In Point/Counterpoint: Is PowerPoint Crippling Our Students?, Vicki Sharp argues that the only limitation to what [students] can do with PowerPoint is their imagination.” And it’s true: PowerPoint has the capacity, not just to rehash our research findings, but to enhance them–not because PowerPoint is innately smart and creative, but because we are. It is easy to blame PowerPoint for making us (or our students) look boring, but of course, it is a poor craftsman who blames his tools. Software like Haiku Deck propose an interesting “solution”: instate a word-quota, making it impossible for us to overload our presentations with information. At the same time this sends us an important message (limit your words, or else), it also sends a rather self-defeating one: since you obviously can’t control yourselves, we will. Perhaps rather than create more tools in an attempt to save us from ourselves, we should exercise our principle tool: our creative mind. If we spent half as much time cultivating creativity and learning for the sake of learning as we do creating ways to standardize grading systems, we might actually start to look forward to sharing our findings with our peers and teachers. Image taken from Creative meeting design: 5 tips to make all your meetings exactly the same. Last week, our professor asked how many of us had a Skype account. With a laugh, I raised my hand high, fully expecting everyone else to be with me. Imagine my chagrin when I realized that I was one of only three students with such an account. Seriously? I thought. What year am I living in? Even my grandmother uses Skype! Of course, the only reason my grandmother uses Skype is to keep in touch with her grandchildren (and now, her great grandchildren). With one of us in Argentina, another in St. Maarten, and a few more in California, Skype really is the practical way to keep in touch. Cheaper and simpler to use than many cell phones, it allows my grandmother to talk with us easily—and as an added bonus, to see us! The point is, she learned to use Skype out of necessity. Without it, it might have been years before she met her great grandchildren from Buenos Aires, or seen her son’s new house he built in Sebastopol. So my initial shock dissipated when I realized: people learn to use technology when they have to. Without some sense of urgency, that feeling of if-I-don’t-figure-this-out-I’ll-be-left-behind, our motivation is likely to lay dormant until we are poked and prodded, reminded that learning and adapting is part of our job as human beings. It goes without saying that Skype is a versatile tool. What we should remind ourselves, however, is that it is only as versatile as those who use it. If we get in the habit of using Skype for one thing and one thing only, it can be difficult to see the breadth of its capabilities. And while I am comfortable using Skype to communicate with my family, and to interview for faraway jobs, I will admit that until last week, these were about the only things I considered it for. What about interviewing published authors? Practicing another language with students overseas? Staging a debate between two classes on opposite sides of the country? (See 50 Creative Ways to Use Skype in Your Classroom.) The list is as long as our imagination allows. Several weeks ago, I wrote a post about WebQuests. In it, I bemoaned the fact that so many WebQuests seemed to be poorly crafted–both logistically and aesthetically–and was forced to confront reality: technology does not do our work for us; instead, it allows us to do our work differently. It is through creativity that technology is created, and through creativity that technology is effectively used. Even though I generally consider myself a creative and open-minded person, when it came to Skype, I had made some rather egregious assumptions: Assumption #1: Everyone uses it. Assumption #2: It is just a visually enhanced telephone people use to call their grandmothers. Both these presumptions are dangerous for a teacher to make, especially if that teacher is to model open-mindedness and creativity for her students. In thinking about my assumptions, however, I realized how easy it is to remain creatures of habit, and to remain governed by our preconceptions. Though it is impossible to release assumptions and deep-rooted habits completely, we can develop our flexibility and creativity substantially. As a teacher, I must give my students enough technological opportunity, room to develop their creativity, and ample encouragement to ensure they do not get left behind. 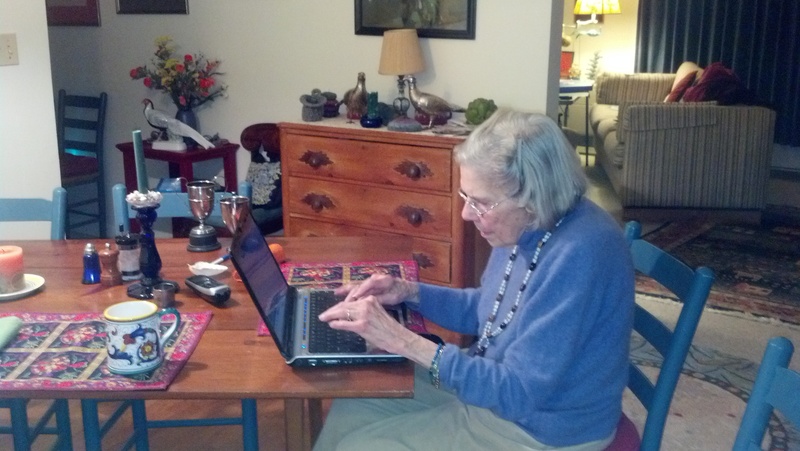 My grandmother, showing off her technological prowess. When I first signed up for a WordPress account, I was encouraged to follow as many other blogs as possible, and to use the tagging feature liberally. At first, I believed this to be a scam—they’re only trying to win over my business, I thought; I won’t let the corporation win! After my first few posts, however, I began to wonder if anyone was reading. And as it turned out, I didn’t have to wonder: my dashboard would let me know exactly how many viewers had come to my site; most days, that number was a nice round zero. Shortly after this painful realization, I searched for blogs with similar content to mine, read a few of their posts to gain an understanding of what was out there already, and became their follower. Then I revisited the tagging feature on my own blog, and when I made my next post, I tagged with all my might, hoping to attract some wayfaring web-surfers. I added a picture (to snazz things up), gave my post a (fourth) proof-read, and clicked “Post.” By the next day, I had received three new “likes,” two new followers, and two new comments—all from people I had never met. Suddenly, I understood what it meant to blog: Blogging is not simply about writing. Blogging is about writing for an audience, actively reaching out to that audience, and responding when they reach out to you. In my recent research paper, English 2.0: Using the Read/Write Web to Teach 21st Century Literacies, I explore the effectiveness of Web 2.0 tools—blogs, wikis, podcasts, etc.—in contemporary classrooms (both physical and virtual). I focus specifically on the role blogging plays in teaching written communication, as well as its potential to facilitate critical literacy. After reading several teachers’ accounts of successful class blog projects (Ayers, 2011, Davis & McGrail, 2009, Glogowski, 2008, Jones, 2012, Richardson, 2010, Stevens et al., 2008), as well as the recent definition of 21st Century Literacies put forth by the National Council of Teachers of English (NCTE), I began to think more deeply about my task as an English educator. While it is easy to think of English language arts as a subject based on books, short stories, print articles, and vocabulary lists, this is only a small sliver of the curriculum. When students turn in a paper, their audience is the teacher; when students post a blog entry, their audience is anyone with an internet connection. As Ayers cautions us educators, “it is not reasonable to expect that teachers can be authentic audiences for students” (p.24). Certainly, we must still play an active role in their development as writers, but this role has shifted significantly in recent years. No longer are we the sole proprietors of writing know-how—nearly everything we teach our students can be found on the internet. What we can help them develop, however, are the critical literacy skills necessary to read, interpret, analyze, write, and speak effectively. By encouraging our students to blog, we are not simply encouraging them to post their written work for all to see (though accountability through publishing is certainly part of it). 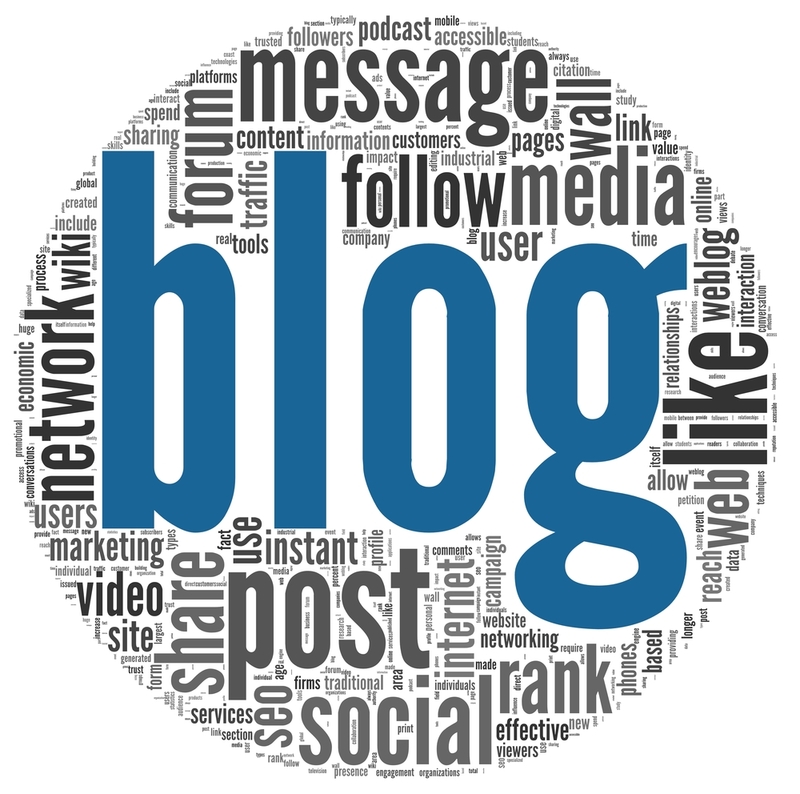 To blog effectively they must read, write, reflect, and comment, thereby becoming active participants in the verbal community that surrounds them. Blogging encourages students to pull from other internet sources (research), write and respond to comments (communication), revisit and reassess their own writing (revision and meta-cognitive thinking), and to write with purpose–all of which are, by the way, skills promoted by the New York State Standards and Common Core. As an added bonus, blogging is fun. It is exciting to discover how many people have visited my blog each day, to see how many have commented on or liked a post, to know that my thoughts and words are landing in a community of readers. While publishing was once a privilege requiring significant time and money, nowadays, anyone with a blog can publish anytime she wants. As I have witnessed firsthand, blogging opens the doors to a virtual world full of real people (and some computer personae too); and just like with any community, what we get out of it depends on what we put in. Davis, A.P., and McGrail, E. (2009). The joy of blogging. Educational Leadership, 66(7), 74-77. Glogowski, K. “Tracing the emergence of a blogging/writing community: Critical transformations in a grade eight classroom.” dissertation, University of Toronto, 2008. 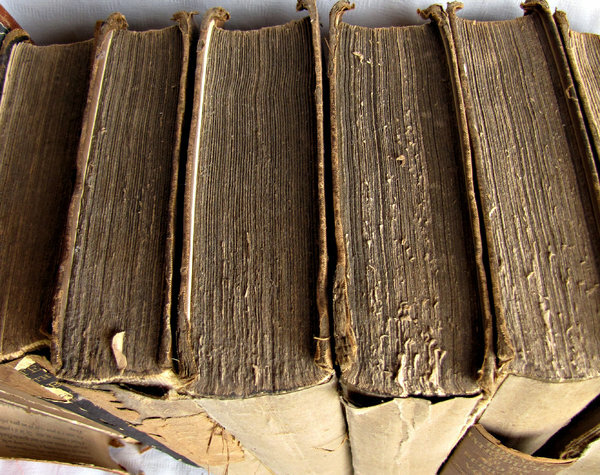 Retrieved through Nazareth College Library: ILLiad. Jones, S.R. (2012). Digital access using blogs to support adolescent writers with learning disabilities. TEACHING Exceptional Children, 45(2), 16-23. Richardson, W. (2010). Blogs, wikis, podcasts, and other powerful web tools for classrooms. California: Corwin. Stevens, V., Quintana, N., Zeinstejer, R., Sirk, S., Molero, D., Arena, C. (2008). Writingmatrix: Connecting students with blogs, tags, and social networking. TESL-EJ, 11(4). If I were a website looking for a date, I would have my eye on Wikipedia. Sure, others are quick to point out Wikipedia’s flaws: he’s not omniscient, he often changes his mind, he sometimes even gets his facts wrong. But the way I see it, these “flaws” are true for everyone—Wikipedia just doesn’t lie about it. Take, for instance, Love. Type in the word “love” at Encyclopedia Britannica and you’ll see “Results: 1-10 of 2000 items,” the most prominent of which is “Love (American rock group).” Scroll down the page and you see entries for On Love (a written piece), Courtney Love (a person), Love Canal (a neighborhood), and The Love Parade (exactly what it sounds like), but not a single entry defining what the word “love” actually means. While the breadth of Britannica’s summaries is impressive, it lacks the same candid appeal that Wikipedia brings. Ask Wikipedia, what is love? and you’ll receive a much more straightforward response: “Love is an emotion of a strong affection and personal attachment. Love is also said to be a virtue representing all of human kindness, compassion, and affection—the unselfish loyal and benevolent concern for the good of another.” In case we are confused as to what any of those hyperlinked words mean, we needn’t worry: a simple click on the word, and he’ll offer further explanation (who doesn’t love a patient man?). Of course, poetic as that definition may be, love is not so simple. Wikipedia understands this—he is more than a dictionary, after all—and goes on to explain the various intricacies and interpretations of love: impersonal, interpersonal, religious, philosophical, etc. His knowledge spans Greek and Hindu histories, biological and psychological causes; it even brings up the free love movement of the 1960s and 70s (perhaps a little forward for a first date, but we’ll go with it—he seems genuine). Then, toward the end of the page is a disclaimer: “This section needs additional citations for verification. Please help improve this article by adding citations to reliable sources. Unsourced material may be challenged and removed.” Even though Wikipedia could probably get away with claiming authority, he takes the opportunity to admit that his perspective is incomplete; where he could attempt to close the conversation, he invites discussion. Were Britannica vying for my affection, I would find him a show-off, circling his way around an answer in an attempt to prove his cleverness (and were I an English Language Learner, I would have found his first ten answers useless). Wikipedia, on the other hand, has more social tact; he knows that in order to take a discussion deeper, one must first define the very thing he wishes to discuss—only then is it useful to delve into history and tangential information only mildly related to the term in question. My point here is that Wikipedia is informed, accessible, and easy to converse with. Rather than feign authority on a matter, Wikipedia simply presents information as it has been given, while simultaneously exposing this information as multifaceted and fickle. The fact that Wikipedia is so “wiki,” so quickly changing, so easy to revise, reflects the flexible nature of knowledge—to me, this is one of its greatest strengths. Will incorrect information occasionally be conveyed? Of course—but that is no different from any other published text. To advise our student not to trust Wikipedia or cite it in formal research is to misuse our resources. In teaching the art of research, we must help our students understand the importance of varied sources. To conduct research only within Wikipedia’s domain would surely represent a bias, not to mention a lack of effort; similarly, to cite six articles from the peer-reviewed English Journal (and no other journal) would be ludicrous. A wise teacher reminds her students that genuine facts are hard to come by, just as a wise woman knows never to trust a know-it-all. Wikipedia is impressive in its knowledge base, in its sheer volume of “facts”–but even more impressive it its humility, its admitted room for improvement, its self-awareness. Like a good man, Wikipedia has the confidence to admit when it cannot speak with authority.